What is often in shredded cheese besides cheese? Powdered cellulose: minuscule pieces of wood pulp or other plant fibers that coat the cheese and keep it from clumping by blocking out moisture. 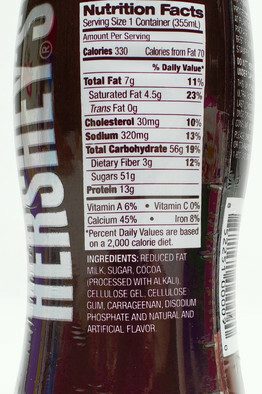 Cellulose can improve the texture of packaged food products, including bottled chocolate milk shakes. 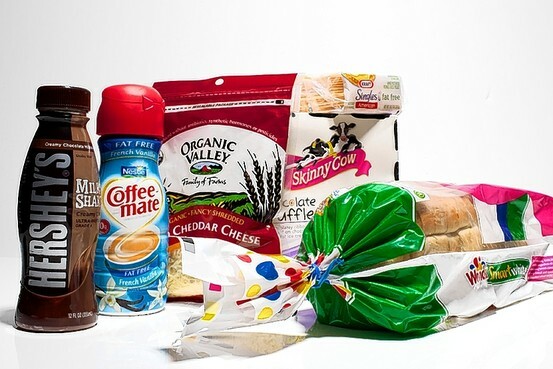 One of an array of factory-made additives, cellulose is increasingly used by the processed-food industry, producers say. Food-product makers use it to thicken or stabilize foods, replace fat and boost fiber content, and cut the need for ingredients like oil or flour, which are getting more expensive. Cellulose products, gums and fibers allow food manufactures to offer white bread with high dietary fiber content, low-fat ice cream that still feels creamy on the tongue, and allow cooks to sprinkle cheese over their dinner without taking time to shred. Cellulose additives belong to a family of substances known as hydrocolloids that act in various ways with water, such as creating gels. The rising cost of raw materials like flour, sugar and oil is helping boost the popularity of these additives, producers of the ingredients say. Demand for cellulose is also rising because of the growing popularity of processed food products in China, India and other countries, and because consumers are demanding low-fat or nonfat foods that still have a creamy texture. While some food manufactures say they aren’t increasing the percentage of cellulose in their products, others are boosting the amount of fiber in their foods with cellulose and other ingredients. 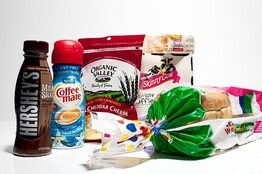 Companies can save money by using it, even though it costs more by weight than conventional ingredients. Cellulose gives food “more water, more air, a creamy feeling in [the] mouth with less of other ingredients,” and only a very small amount is needed, says Niels Thestrup, vice president of the hydrocolloids department for Danisco AS. The Copenhagen-based company makes ingredients and enzymes for food, cleaning supplies and other products. Cellulose is especially popular because it can be used in many ways in food and is relatively inexpensive at about $2.50 to $3 a pound for one type his company makes, says Mr. Thestrup. The company’s sales of hydrocolloids had been rising 3% to 5% a year over the past decade, but in the past two years, sales are up about 6% to 8%. Even organic-food products can contain cellulose. Only powdered cellulose in its least manipulated form can be used in foods labeled “organic” or “made with organic” ingredients by the U.S. Department of Agriculture. Even packaged food products labeled as organic can contain cellulose. Cellulose comes in various forms, each with a specific use. Beyond powdered cellulose, two other modified forms are common in food. 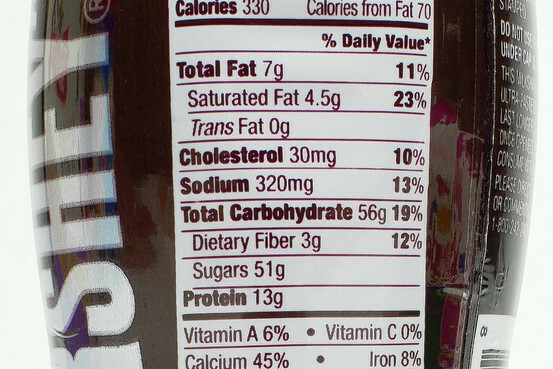 Microcrystalline cellulose is either listed as such on labels, as MCC, or in some cases as cellulose gel. Carboxymethyl cellulose or cellulose gum, another modified version, is listed as such on labels. Each gives foods a slightly different texture—from gelatinous to more liquid-like—because they trap varying amounts of air or water. Powdered cellulose is made by cooking raw plant fiber—usually wood—in various chemicals to separate the cellulose, and then purified. Modified versions go through extra processing, such as exposing them to acid to further break down the fiber. Although the notion of eating fine grains of wood pulp might make some consumers blanch, nutritionists say cellulose—which gives plants their structure—is a harmless fiber that can often cut calories in food. Insoluble dietary fibers like cellulose aren’t digestible by humans so add bulk to food without making it more fattening. In the U.S., cutting calories from food doesn’t cause a problem because the country is in the grip of an obesity epidemic, says Joanne Slavin, professor of food science and nutrition at the University of Minnesota. She served as chairwoman the carbohydrate committee of the 2010 Dietary Guidelines Advisory Committee. Cellulose can serve as a good source of dietary fiber for people who don’t eat enough fruits, vegetables or whole grains, Ms. Slavin says. The USDA’s most recent dietary guidelines recommend young women get 28 grams a day of fiber and young men consume 38 grams. “Cellulose is cellulose,” regardless of if whether it comes from wood pulp or celery, says Michael Jacobson, executive director of the Center for Science in the Public Interest, a group that advocates healthier, more nutritious food. He says no research points to health problems related to consuming cellulose. The Food and Drug Administration sets limits on the amount of cellulose in certain foods like cheese spreads and jams. The USDA also limits the amount of cellulose in meat products to about 1% to 4%, depending on the type, in order to meet the agency’s standards for protein content. Kraft Foods Inc. uses forms of cellulose made from wood pulp and cotton in products including shredded cheese and salad dressing. “Cellulose has unique properties making it the best choice to perform certain functions, such as anticaking, thickening and replacing fat,” says spokeswoman Susan Davison. Kraft and Organic Valley say cellulose makes up less than 1% of their shredded-cheese products. A Nestlé SA spokeswoman says the company uses various types of cellulose to improve the texture of some products. Meat processor Tyson Foods Inc. uses cellulose on some cooked products to help maintain glazes or breading, but doesn’t use it as a filler, a spokesman says. Kellogg Co. is raising the amount of dietary fiber in its products with cellulose and other fibers like psyllium and bran, says a spokeswoman.